We all know it is important to exercise so we can build lean muscle tissue and reach our body transformation goals but today we are going to talk about building a different kind of muscle. 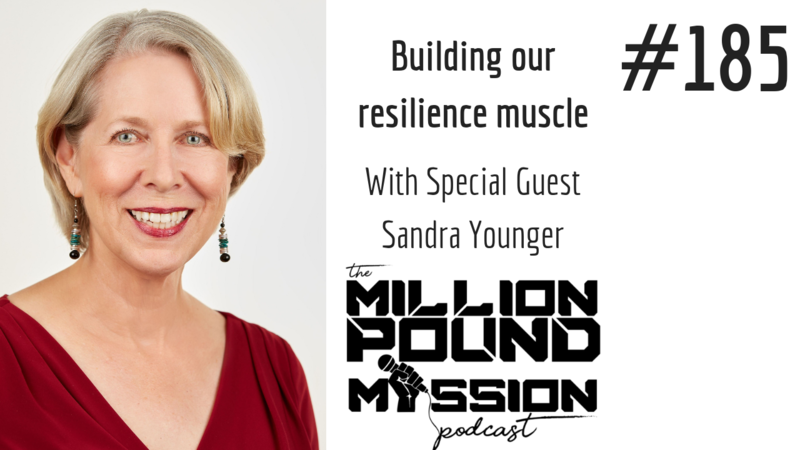 I'm bringing my friend Sandra Younger in to teach us about building our resilience muscle so that we can better handle the tough circumstances that life tends to consistently throw at us. Sandra lost her home, 12 neighbors, and nearly her own life in a California wildfire. After the fire, Sandra discovered that personal resilience is both a natural strength and a skill set that we can build like a muscle. Combining her own recovery experience with leading academic research, she developed the ComeBACK Formula, a five step system of powerful, common-sense practices proven to transform disaster into opportunity and loss into legacy. The story about how she almost died in a California wildfire. Making the mindset switch from "victim" to "survivor". Her five step ComeBACK formula and how we can start implementing it in our own lives. Get all the info for our November Transformation ReBoot launch group.